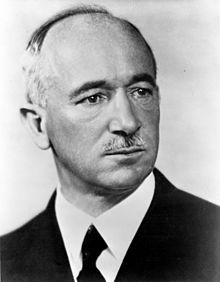 Edvard Beneš (28 May 1884 in Kožlany – 3 September 1948 in Sezimovo Ústí) was the second President of Czechoslovakia (1935- 1938 and 1945- 1948), President in exile (1940- 1945). Beneš was abdication in 1948, next President was Klement Gottwald - "first working (communist) President". He is also known to be a skilled diplomat.